Teachercast.net has pages and pages of resources. I've linked you here to their podcasts which are very informative. You can watch them live, watch the recordings, or listen to the iTunes podcasts. SimpleK12 contains a plethora of PD resources, many free, even more with subscription. You'll need to sign up for an account, but that is free. Classroom 2.0 Live offers weekly live webinars as well as archives of past shows. Kathy Schrock is the guru of technology in education. Her site has links to other websites, apps, rubrics, and more, but be careful you might get lost for hours. Flipped Learning has anything and everything you need to know about flipped teaching and learning. 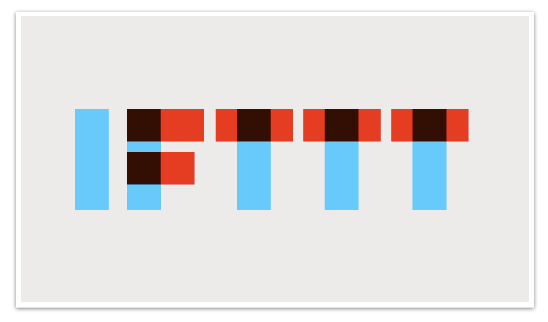 If This Then That lets you delegate tasks to your computer. You create recipes that the site will run according to your wishes. Favorite a tweet on Twitter and have the link for the tweet itself and the link in the tweet added to a Google Drive spreadsheet. Automatically tweet any video you favorite on YouTube. ... and there is so much more! 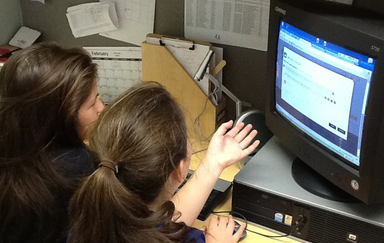 Twitter and Google+ are powerful networking sites for learning from other educators. if you don't have accounts, sign up and start following others to create your own personal learning network, PLN. Following one of the hundreds of Twitter edchats can provide you with a wealth of resources, but can also be a harrowing experience if you are not ready for it. Therefore, I highly suggest that you read David Theriault's blog post about just how to go about participating in one of these crazy experiences before you actually jump into one. Eduslam and Infinite Thinking Machine both have short videos that will help you be more creative with your teaching. Bonus: All the videos are short, so no wasted time. I usually don't recommend books, although I have ready many great ones lately, but I do feel compelled to mention Teach Like a Pirate by Dave Burgess. It's a fast read that will put some wind back in your sails. His book was so successful that Dave and his wife now have a publishing company with 20 books out, all of which are fabulous. Check them out on the book tab of his website. Apple User Guides Discover the basics, plus tips you didn't know about. The site Two Guys and Some iPads has some great iPad resources. Their forte is the integration of augmented reality apps into the curriculum. They also have a weekly podcast which you can download or watch live on Tuesday nights. Do you want to become a google ninja? Do you want your students to become ninjas with you? Well, you can if you sign up for the Dojo training center. With this cleverly gamified training site, you and your students can learn the ins and outs of Google while working your way through the program to eventually become a black belt, and attain the status of Google ninja. Google Classroom is a bit like Edmodo, in that I can begin threads of comments for collaborative discussions. I can assign, comment upon, and grade, assignments. But here is the cool part... 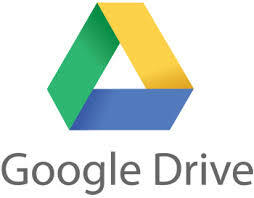 If I assign a Google Doc, I can make it read only, editable by all students, or I can have the program distribute a personal copy to each student. Edmodo has the library where I can curate a host of resources for students to access as needed, but Google Classroom has no such feature, unless you put the links in a Dic. That being said, the site is extremely easy to use, and allows those who are not Google gurus to automate much of their class "paperwork" without having to learn about the scripts mentioned below. Doctopus is a script that lets you manage projects for students automatically. Assigning projects, sending out templates, collecting work. This automation of processes will save you hours of time. Flubaroo automates grading through the use of Google forms, then emails students their grades. It also aggregates data for you such as low scoring questions, averages, etc. autoCrat takes information from a spreadsheet, merges information (say student feedback) and then emails the personalized feedback to students. 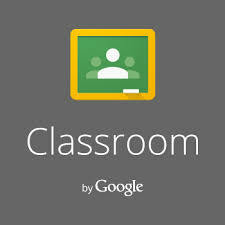 gClassFolders is meant for use with Google Apps for Education (GAFE) creating folders for use by students and teachers. It can be set up for a single teacher or for multiple teachers in "school mode" which anticipates use throughout multiple semesters. formMule automate emails and calendar appointments through Google forms. Teaching With SMART Board has podcasts on the everything SMART Board, including lesson ideas and user instructions. They're fun and entertaining to boot. SMART Exchange has a collection of teacher created SMART Notebook lessons all shared for FREE. SMART Board Revolution is a vast community of SMART Board using educators, if the answer isn't here, just ask, someone will help you. Virtual Manipulatives All those math manipulatives are here in virtual form for students to use anywhere, anytime. The NCTM Illuminations site has virtual manipulatives, simulations, lesson ideas, and more. Read Write Think curates more reading and writing activities than you can shake a stick at. Kid Blog Get your students blogging safely and for free, at Quad Blogging you can find other classes to collaborate with on blogs. Edmodo is the best thing since sliced bread! To begin with, think of it as a safe Facebook for students, a place for on-line anytime discussions. But add to that your ability as a teacher to include quizzes, polls, and assignments to the threads. And if that isn't good enough... the library/backpack feature lets you create folders of resources for your students to access any time. Everything from videos, to websites, to documents can be accessible for the students. Makes differentiation MUCH easier. And finally, there are also educator groups for networking with colleagues.